Deciding to sell your property is a major decision	Regardless of the property, no house can sell itself these days. Putting your transaction in the wrong hands makes selling your investment harder than it needs to be. 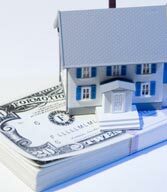 Look for an agent dedicated to selling your property and getting top dollar. Using my resources at Heidi Gravel, I'm committed to providing a positive selling experience! I determine home values on a daily basis in Lake Wales, Florida and I can help you figure out exactly what your home should sell for and get the best offer possible. Your house will be in the best shape for Open House events in Lake Wales. I make my sellers my top concern and my priorities reflect it. I’ll be available when you need me — on the go, by phone, and even via text message. I’ll market your home as a top priority, ensuring it gets the exposure it deserves in all available portals, even nationally. Every agent in Lake Wales will see what your home has to offer. As a top real estate professional in Lake Wales, I can assure you that you’ll get the best price for your home and get it off the market quickly. It's easy to choose the first real estate agent you come across, but deciding on the right agent takes planning. Your interests are always at the forefront throughout the entire selling process. Using my experience in Lake Wales, Florida to your advantage, you'll be a confident seller. E-mail Heidi Gravel at westlakerealestate@comcast.net or just call 863-676-8058. I’m always able to handle concerns that you might have about selling in Lake Wales, Florida.